Evenings are a bit chaotic in our house during the week – crèche dash, make dinner, do laundry, tidy up, bedtime routine… It’s usually all go until Little Man goes to sleep at 8pm, and if we’re not careful, it’s all chores and no fun. So lately we’ve been making an effort to take back the fun times. 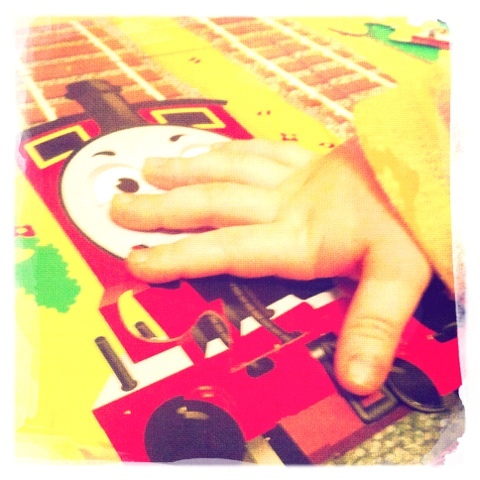 Tonight was Thomas time with a whole bookful of Thomas jigsaws. very cool. It is easy to get wrapped up in the get it done. I am in that trap with work, hubby and 3 girls. I am going to try and do better.